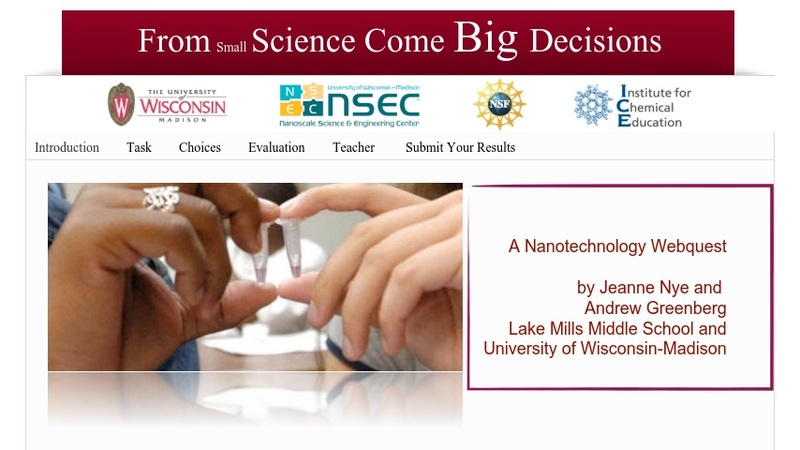 This lesson provides an opportunity for students to research current developments and trends in individual areas of nanotechnology. Students role play as researchers and are given the opportunity to present their case to the National Nanotechnology Budget Review Committee to defend their current projects and funding. Students investigate how nanotechnology is used throughout society and are provided information on how to present their information. In addition, a rubric is provided to guide their work. A teacher's area is provided that includes learning objectives, correlations to national science standards and Wisconsin science, social studies, environmental education, and technology standards, and class size options. Classes can encouraged to share their results with other classrooms by uploading their budget decisions to the website.